CIDE came into being for a reason, or maybe two or three. However, the most important of them are the clear need of the Internationally Trained Dentists (ITDs) attracted to Canada to integrate into the profession, the society and the 'professional society', as well as the need for a place to share learning and experiences to help candidates save time and money instead of going through the same learning curve that everyone did before them. Whether pre-AFK or post-OSCE, everyone can benefit from advice and contextual orientation of North American Dentistry and the best moves for a successful career. From planning the beginning of the process to making a smooth transition to a successful dental career, we have it all covered for you. All Universities in North America, the handful in Canada and the several in USA have different sets of requirements including Bench Tests and Interviews. Our trainers help you cover all those bases efficiently and effectively. Canadian Boards (Equivalency Process) The EP has changed significantly since its inception in 2011. taking the right approach to the process is as important as the knowledge and technical aspects and we intuitively impart the aspects that people usually learn the hard way. One of the most important pillars of a successful dental career. 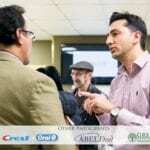 CIDE and it’s partners settle for nothing but the best, working to bridge gaps commonly found in foreign and local trained dental professionals training and working with the top speakers and trainers to help you get there.